Experienced producers and companies with a long history of video production have typically accumulated large amounts of videotape that sit in storage. Digitizing and archiving is a smart way of preserving your investment and converting videotape to files that make your media accessible. Videotape digitizing also becomes an issue when you work with a videographer that still shoots on tape or you’ve received pre-produced tape assets for your production. This is a problem when you need to ingest your video for editing but you don’t have a machine or other hardware necessary for video capture. 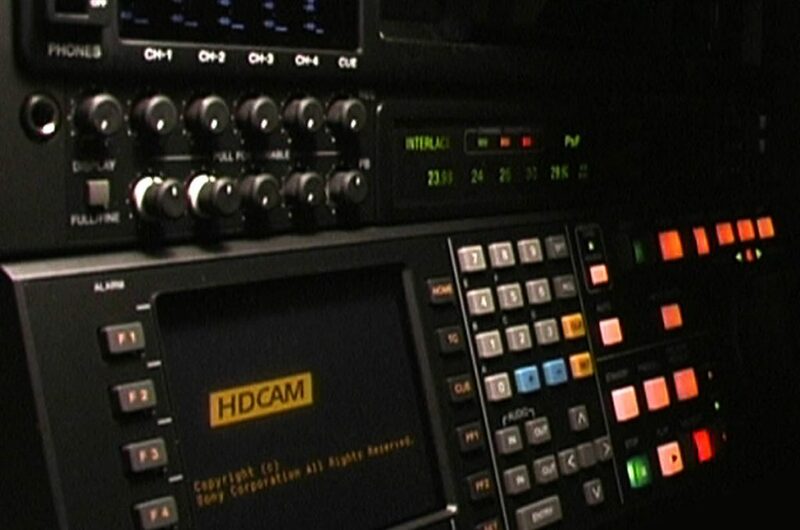 Chicago HD can work with your broadcast videotapes and legacy formats. Hire us to digitize your HD and SD footage to a wide variety of file-based formats. Supported videotape formats include Sony HDCAM-SR (4:4:4 & 4:2:2), HDCAM, Digibeta, BetaSP, DVCAM and miniDV. If we don’t own the video deck you need, we’ll rent one for the job. We also provide high-quality Teranex standards conversions to convert your video from one format to another. We will transfer your digitized media to external hard drives for your archives or check out our LTO-5 tape archive service. Full-service and self-service digitizing options are both available. Please contact us to discuss your digitizing needs so that we may provide you with an accurate estimate of time and cost.